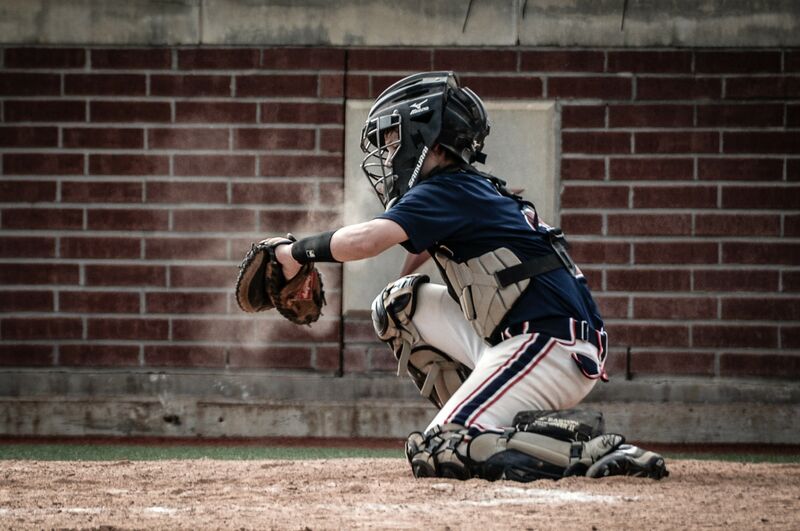 Parents, this is one huge reason you should be happy that your son or daughter is a catcher. Among the 30 MLB managers at the start of 2008, 40% had played as catchers. Indeed, the probability that 12 out of 30 are ex-catchers by chance is less than one in 1,000. 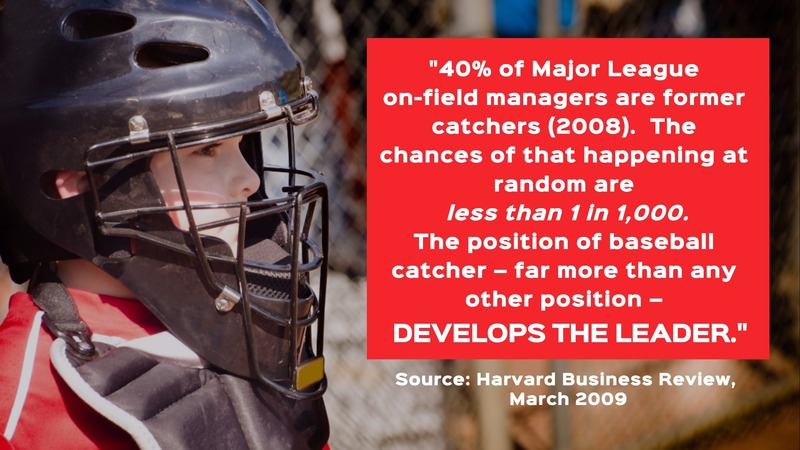 What is it about the catcher position that makes it a launching pad for future leaders? ​I found this article about catchers in the Harvard Business Review and I had to share it with you (see the excerpt below). Yes, it’s literally called The Catcher Hypothesis. And it’s entirely developed from the observation that baseball catchers often make incredible leaders. If this doesn’t convince you that being a baseball catcher can help to develop key leadership skills in your child, then I don’t know what what will. Check out what the Harvard Business Review has to say about baseball catchers (below) and then comment if you agree with this post. I would love to hear your story… how have you seen this play out in your own life? This is an excerpt from the Harvard Business Review’s Making Mobility Matter, originally published here. 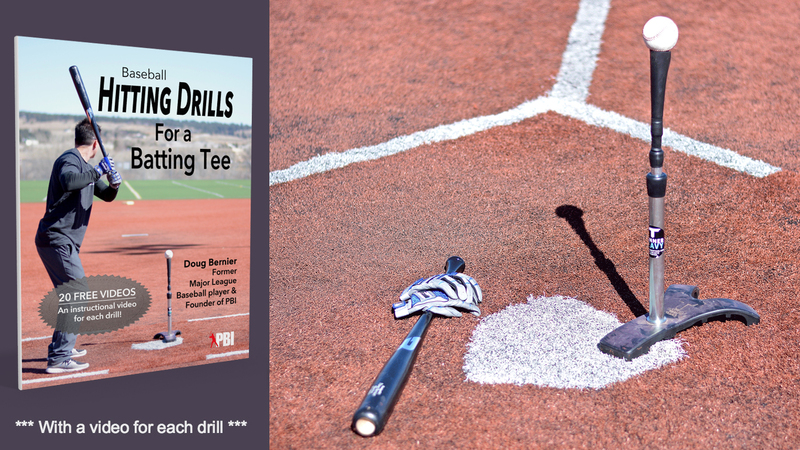 “The role of the catcher in professional baseball illustrates the power of a single position to develop leaders. There are 30 major-league baseball teams operating in North America. Each team has one distinct on-field leader, the field manager. Traditionally, almost all the managers have played baseball professionally. Among the 30 managers at the start of 2008, a disproportionate number of them – 12, to be specific – had played as catchers. Considering that on a typical 25-man team only two or three members are catchers, and that catching is only one of nine positions on the baseball field, the fact that 12 out of 30 managers are ex-catchers is no fluke. Perhaps it is the perspective: Catchers are the only ones who face all their teammates. They are also always closest to the opponent at the start of the action. 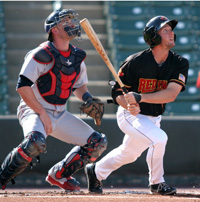 Complementing their unique perspective on the game are the demanding cognitive skills honed by the position, such as the ability to keep track of many things at once (pitch selection, opponents’ base running, teammates’ defensive alignment, and so forth) while making decisions quickly. The position is instructive in the art of balancing the roles of cheerleader and taskmaster, as when dealing with an underachieving pitcher. 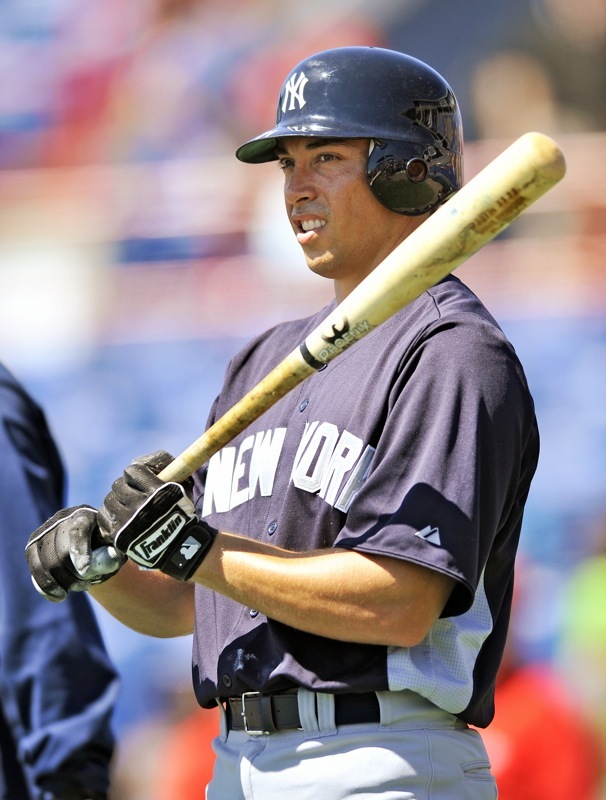 It could be, of course, that players who are destined to become managers gravitate to the catcher position. Free Catching Videos – Would you like 6 free videos on proper catching technique, taught by former Washington Nats catcher Cole Leonida? Click here to get the free catching videos. Source: Nalbantian, H.R. & Guzzo, R.A. published in March 2009 issue of the Harvard Business Review. Click here to view the full text. I don’t necessarily agree with this. They need to look at the kids who can play any position and play it well including catching and pitching. They need to factor in GPA. Motivation. Nothing hurts a team more than a catcher who doesn’t strive to be better. Or one who shouldn’t be playing it in the first place. This article mentions nothing about the big picture. And in the wake of the college cheating scams let’s not forget to carefully look at how the player earned ( or didn’t) the spot. 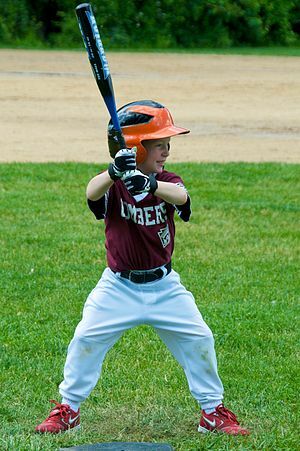 This article mentions nothing about the hard work the kids put in to playing catcher. As a former pro ball player myself and one who’s managed now in my post-career life, I think one aspect of catchers and good leaders is that before one can effectively manage and lead another, he/she must first effectively manage and lead himself. Good managers are good self-managers, mainly, their own mindset and emotions. Secondly, most catchers spend the majority of the time concerned, not about themselves but about another, their pitcher, who he’s helping to stay focused on the task at hand while also keeping the big picture in mind. Catchers are truly suited to their role when their behavioral and cognitive traits are aligned to the position. 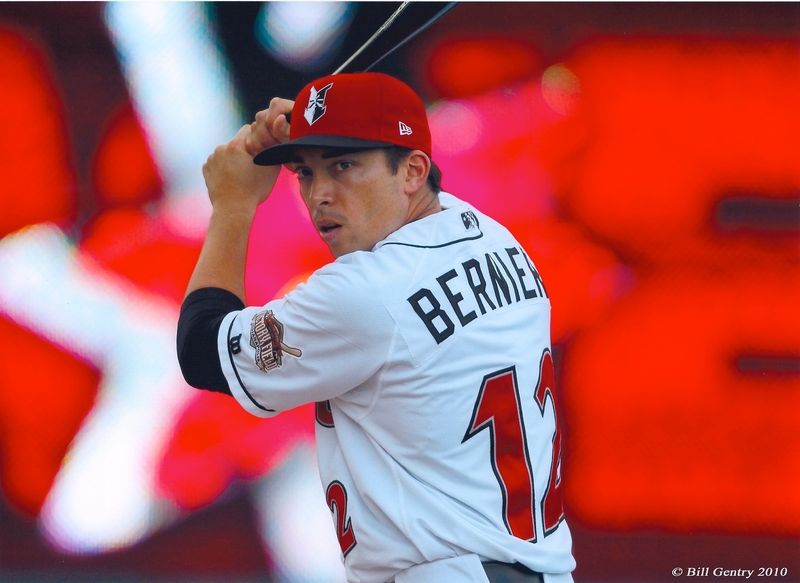 does MLB or MiLB use any psychometric assessments to get the most out of the player, by placing him in the right position and on the right team? The NFL uses the Wonderlic Test to measure cognitive speed. What have you come across regarding assessments that are used by teams or by the league?